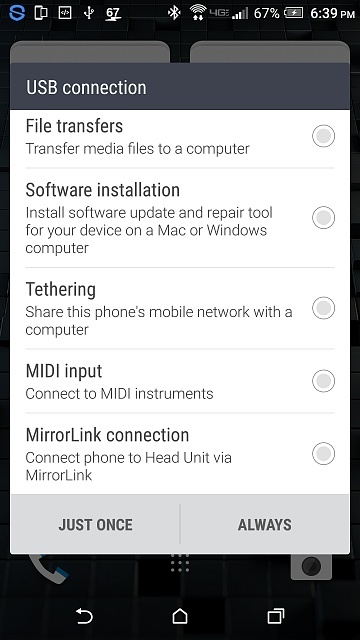 Andriod Auto Wont hook up in 2016 Silverado, w/ my HTC M8? I just purchased a 2016 Cheverolet Silverado with "My Link" which has with apple car play / android auto built in. 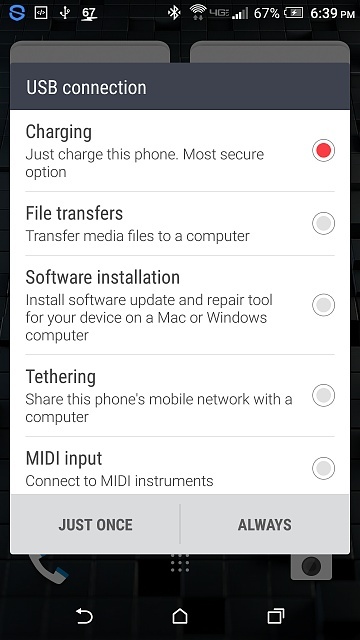 I then downloaded the android auto app from the play store onto my phone, then I plugged in my phone using the usb plug and got these options ( see attached pics) but android auto never launched? I tried to disconnect and re connect several times still no luck...any suggestions? Quick Question: My 6p battery is it normal? How to stop Galaxy s7 not giving message notifications when in the messaging app? Htc M8 and android auto? Wont hook up in 2016 Silverado? What if I connect my phone to my PC and copy/paste all of it?